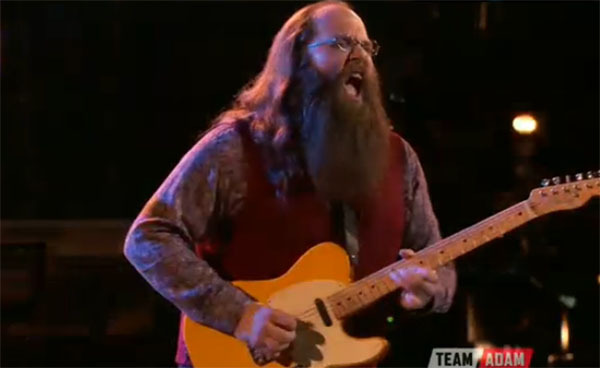 Laith Al-Saadi from Team Adam sings ‘White Room’ by Cream on The Voice Season 10 Finale Top 4 live performance show on Monday, May 23, 2016. “You did it to the finale. The guitar is straight up. Congratulations to you, Im very happy for you,” said Blake Shelton. “I don’t know how you do it with the guitar. It’s awesome,” said Christina Aguilera. “What a time for a classic blues player. The vibe was amazing. What you represent was so awesome. It’s the true testament of your talent,” said Pharrell Williams. “That was so much fun to watch of you. Watching you doing it with such a purity,” said Adam Levine. Did you like Laith Al-Saadi’s cover song number? Share your thoughts and views on the comment section below.